There are actually quite a few reasons that these veggies don't form heads. Prominent among them is that temperature and water requirements are not being met. This is a guide about broccoli, cauliflower, and cabbage not forming heads. 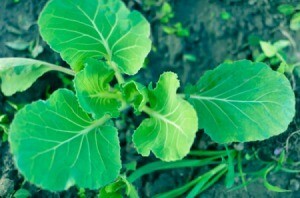 My broccoli, cauliflower and cabbage have many large leaves and look very healthy. However they haven't started to form any heads. Have just large plants. There are a few reasons that heads fail to form on broccoli, cabbage, and cauliflower. The usual culprit is stress brought on by extreme temperatures or drought. All three of these crops prefer cool temperatures and need an even supply of moisture to produce the largest heads and develop the best flavor. Extended periods of high temperatures can bring head formation to a screeching halt. The same is true of cold temperatures. If transplanting seedlings that are not acclimatized properly, cold weather can cause young plants to button up and produce small heads. Other possible causes include overcrowding, lack of soil nutrients, damage to roots, or transplanting seedlings too late-after roots have become pot bound in nursery flats. Solutions include ensuring that you're meeting water and nutrient requirements, keeping diseases and insects under control, timing your plantings appropriately in the spring and fall, and acclimating seedlings to the cold before transplanting. As long as your plants appear healthy, they will probably form heads eventually (that is, barring any unfortunate weather events). If they start to flower and bolt, it's best to pull them up and try again in the fall when temperatures start getting cooler. Remember to give your cabbage, broccoli, and cauliflower an even supply of moisture throughout the season, especially as they start to form heads. My dad, who was a farm boy, always said head-forming plants need cool weather to flower. Maybe your climate is just too hot for them. I TRIED BROCCOLI AND BRUSSEL SPROUTS FIRST TIME THIS YEAR SO DIDN'T KNOW WHAT TO EXPECT. PLANTED BY ALMANAC AND LIKE YOU HAVE GREAT PLANTS BUT NO HEADS. IT TURNED FAIRLY COOL TO COLD HERE FINALLY AND NOW THEY'RE STARTING TO MAKE. BE SURE TO KEEP WATERED WELL AS MY RESEARCH SAYS THEY NEED COOL DAMP WEATHER.ALSO SOME CABBAGES MAKE SMALL LOOSE CONE LIKE HEADS SO SEE WHAT KIND YOU PLANTED.I MISTAKENLY PLANTED THESE THIS YEAR. You need to transplant these veggies & lettuce so they will form a head, also have to transplant rutabagas so they will grow a large root, good luck.